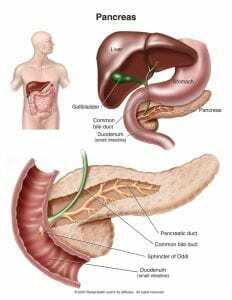 How important is the pancreas? Well the pancreas is the organ in your body that produces insulin. Since this is the major hormone that helps to regulate and control your blood sugar levels, then I would say it is VERY important, wouldn’t you? This is especially important if you have diabetes. Insulin is the hormone that is responsible for your glucose levels by helping to move and get the glucose from your blood into your cells. 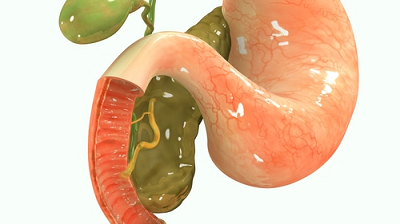 Issues begin to arise when diabetes starts affecting your pancreas. The beta cells are overworking as the bloodstream becomes higher with sugar and this makes it toxic with blood fats also increasing and the end result is that this has a negative effect on your cells and their ability to produce sufficient amounts of insulin. 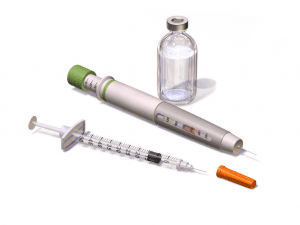 It’s necessary to treat this situation with either drugs and/or injections of the proper amounts of insulin to control your blood sugar levels, thereby restoring your balance of these levels and at the same time decreasing the fat content in your bloodstream. I am personally not a fan of medications because they only mask the problem and even though they help, my way of treating anything is by natural products and methods. We are what we eat I always say. A lot of the health issues that we have today come from bad choices we make that affect us and have us in the particular situations that we are currently in now. It seems that all we ever talk about or hear from everyone including the doctors is to eat healthy and exercise. It’s like a broken record, isn’t it? You might get to the point where you don’t even want to hear it anymore. But take a step back and think about it before you throw in the towel and the best advice you’ll ever get. It IS what you need to do. I don’t know about you, but I’ve heard and read about folks who did change to eating healthy and exercising. Their lives completely changed for the better. But they believed and took ACTION! That’s why diabetes isn’t a death sentence if you take action and do something about it. Your pancreas is important for your health and diabetes. If your pancreas isn’t healthy and not producing enough insulin or using it properly, then glucose builds up in your bloodstream, this is hyperglycemia (high blood sugar) that is making your cells become starved for energy. On the flip side of hyperglycemia is hypoglycemia, or low blood sugar. This can be even worse than high blood sugar but they both can be life-threatening. You need to have your pancreas working in tip top shape. That’s all there is to it. If you don’t address this fact, then you are going to have major problems. It’s not hard. It’s just knowledge and what you must do so that you are healthy. If you’re a type 1 diabetic then I don’t have to tell you what you already know as far as injections with insulin. With type 2 diabetes, it’s insulin resistance where your body is not using insulin properly and your glucose levels stagger and aren’t controlled. The majority of the time with type 2 diabetes is that your pancreas is still manufacturing insulin, but insufficient amounts that aren’t successful in completing the job properly. Improper use of insulin and insulin deficiency is the reason for the development of type 2. This particular type of diabetes can come from lacking exercise, genetics, being overweight, or a diet that isn’t healthy. This is the time to sit up and take notice. Your blood sugar numbers are out of range but not in the “diabetes” range. Your pancreas could be telling you something. It isn’t doing the job it’s meant to do. Now is the time to delay or prevent the onset of diabetes. Back to the “broken record” I mentioned previously. How to you accomplish this? Control your weight, change your eating habits to healthy ones, and e-x-e-r-c-i-s-e. Move, move, move! It’s worth avoiding diabetes when you have the choices to do so at this point. There are other reasons that you need to keep your pancreas healthy. Pancreatitis is one of them. It is when your pancreas suddenly becomes inflamed. If you experience it over a number of years it’s known as chronic pancreatitis. If it happens suddenly and only lasts a few days, it’s called acute pancreatitis. I’m mentioning pancreatitis because although it is a condition that can at least be treated successfully, it might be done so in a hospital. Pancreatitis can also be a serious life-threatening issue. Diabetes can become a diagnosis if there is chronic inflammation of your pancreas because it damages your cells that are producing your insulin. Your risk for pancreatic cancer can increase with a diagnose of diabetes for a number of years. Diabetes is something that must be controlled because it can be a symptom of pancreatic cancer if you’ve had it after age 50. If you’ve been controlling your diabetes and all of a sudden you aren’t able to control your glucose levels, that could be an early warning sign too. This is not to alarm you but to hopefully help you sit up and take notice. The risk factors are treatable, so why not take advantage? We all know that this is a deadly disease and there’s no warning signs per say. So change the first 4 risk factors. We all know you can’t change the last two. Do it for you and a healthy life. There’s two ways to look at this. Being a diabetic does not necessarily mean that you will develop other problems with your pancreas. It just means that you need to change your diet, reduce your alcohol intake, exercise, reduce your simple carbs, and see your doctor regularly. 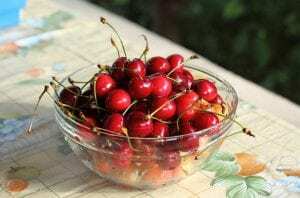 * Cherries- For the prevention of pancreatic cancer, cherries are excellent because of a compound it contains known as POH and they are rich in antioxidants as well. So go and have more than just a few cherries because they have a great many benefits for you. * Dandelion- Dandelion root and dandelion tea are excellent ways to flush the toxins from your liver and from your intestines. Dandelion increases the production of bile in your liver and at the same time helps in the repairing of any damaged tissues in the pancreas. Because you are producing more bile, the damage and pressure of the pancreas lessens from a decreased inflammation. * Cruciferous vegetables- Any vegetables in the cruciferous family contain anti-cancer properties which are very beneficial for fighting pancreatitis. This includes, Brussels sprouts, cabbage, broccoli, and cauliflower. * Turmeric- Turmeric is the best when it comes to lessening inflammation and pain in your pancreas. The most important thing as far as diabetes is that it lowers blood sugar levels and helps to stimulate insulin production. Turmeric ignores healthy cells and zeros in on the mutated cells. It’s a perfect anti-cancer food. It’s a huge contributor to decreasing the size of gallstones and the production of them that would add to an onset of pancreatitis which comes from the obstruction of the bile duct. * Garlic- Garlic has excellent effects on the pancreatic tissues, along with chives, leeks, and fenugreek because they all contain the nurtrients such as flavonoids, arginine, and sulfur. * Sweet potatoes- All colorful vegetables have healthy benefits for you and sweet potatoes are no exception. It is connected to stabilizing your sugar levels and it does this by slowly releasing sugar into the bloodstream.m It’s also known to raising the function of your pancreas and decreasing the risk of pancreatic cancer by as much as 50%! * Berries- All kinds of berries are healthy and beneficial for your health. They are high in antioxidants that aid in healing your pancreas.The best berries to have are blueberries, strawberries, and raspberries. * Onions- Onions are another food that that contain flavonoids. They happen to be an excellent compound in fighting cancer. Onions also help to keep your pancreas working well with its contents of sulfur compounds. 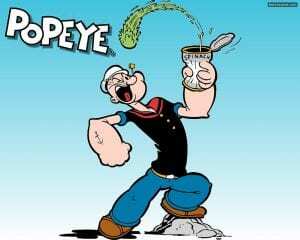 * Spinach- Spinach has always been my favorite vegetable, so thank you Popeye! it is so good for you and especially healthy for your pancreas. It is a huge benefit for protecting against pancreatic cancer. Eat your spinach! * Probiotics- Why are probiotics so good for you and your pancreas? The live cultures in foods rich in probiotics help your digestive system and your pancreas. These fermented foods also help to boost your immune system. Stress kills and we all know that. it really can take it’s toll on your health. Living with chronic stress and anxiety increases your cortisol levels and can affect your digestion and increase your inflammation. This can cause the health of your pancreas to become worse. It can really help to try and control your stress levels. Make sure that you discuss everything with your doctor. They are the professionals and know your health best. Don’t change anything without the doctor’s approval. You want to do the best that you can to have a healthy pancreas. I hope this answers the question of how does diabetes affect the pancreas. If you have any questions or comments, please leave them below and pass this on to others who may need help. I would appreciate it! I would also like to interact with you here. Thank you for reading and have a happy and a healthy one! Great post here, Rob. Very informative. While I have managed to steer clear of any diabetes issues so far, it is an illness that has affected many people I know. I have tried to maintain a healthy diet, which I agree is paramount to good health (and a healthy pancreas). If only more people could follow your advice about those specific foodstuffs to eat, their health would improve very quickly I feel. And alcohol abuse and smoking are key factors. Plus of course too much refined sugars. Thanks Chris! It’s better to prevent than to cure diabetes, so getting the word out is the best thing I know how to do. After all, if we eat healthy in the first place, then probably most of us might not have diabetes. We all want all of our organs to be healthy and to stay that way. The pancreas is especially important when it comes to diabetes so let’s keep passing on the knowledge about how to keep our pancreas healthy so it can keep us healthy! Thank you for such an insightful post. My brother and sister have type 1 diabetes, and my wife and I are on the borderline for type 2 diabetes I have been reading about how much insulin is effected in a book by Robb Wolf called the Paleo Diet Solution. I had no idea it contributed to so many diseases. I have been following the Paleo Diet strictly for only 2 weeks and already notice a huge difference in not craving what I used to. Thanks for the breakdown of what different foods do for the body as well as how stress contributes to inflammation and furthering of disease. It’s important to know all about diabetes and how it affects your pancreas and vice versa. Following ways to keep your pancreas healthy is crucial for diabetes and other possible diseases. The Paleo diet is one way of helping to follow an eating plan beneficial for those of us with diabetes. The bottom line is to keep your pancreas and yourself healthy. Hi Rob, a lot of people think diabetes comes from genetics. But I strongly believe a healthy diet and lower the intake of sugar can control the risk of diabetes. It’s not a death sentence I do agree, I always think the pancreas is not that important but you had enlightened my darkness and shown me that healthy pancreas can reduce the chance of diabetes because its the organ that produces insulin and we need that insulin to regulate our blood sugar. Excellent choices of food to keep a healthy pancreas thank you very much for sharing. Diabetes can come from genetics but not for the most part. Type 2 diabetes is preventable and treatable. The pancreas is just so vital when it comes to diabetes. We need to learn and address every aspect of diabetes and how it affects our overall health. Like anything else, if we take good care of our pancreas, it will take care of us. It’s all about making better food choices and exercising everyday too.